Get hands-on experience from seed to harvest in three hours under the guidance of Farm.One’s expert Farm Manager. Students of all experience levels and all backgrounds are welcome. Classes are limited to 6 students, enabling plenty of one-on-one instruction. 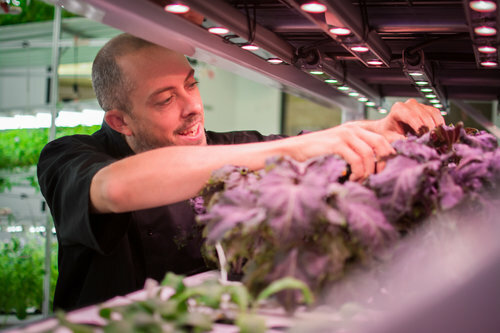 The Farm.One farm in Tribeca (one of two Farm.One farms) is the largest vertical farm in Manhattan, growing hundreds of rare herbs, edible flowers and microgreens for the best chefs in New York. There is no other hydroponic learning space like this.